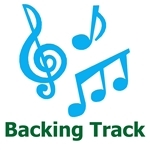 Any song that is listed in any book is available as a backing track. The price includes a pdf of the lead sheet and two tracks (one with melody + accompaniment and one without the melody). When ordering, mention the songs requested in the "comments" of the checkout portion.